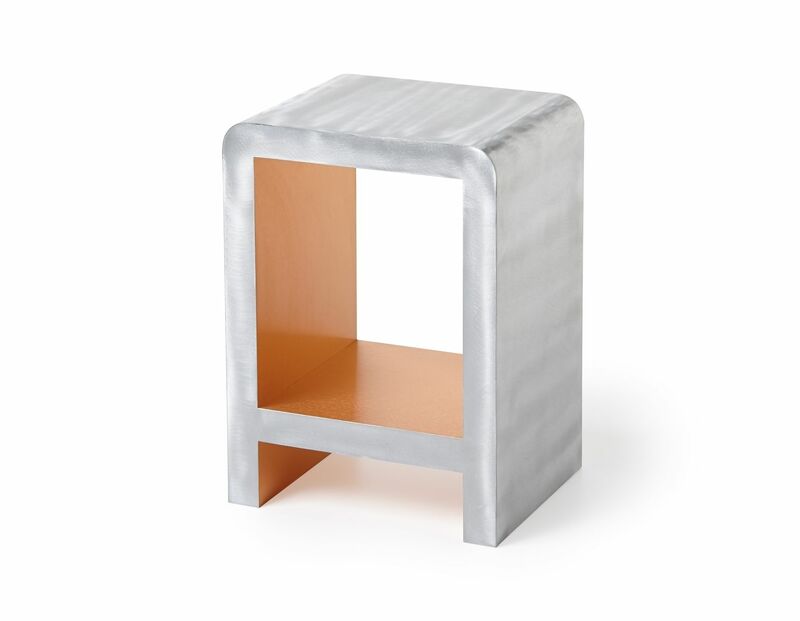 This metal veneered occasional table is in a class by itself, finished with multiple coats of high gloss clear lacquer adding both beauty and protection. This table can serve as either a side table or stool. Each piece is custom made-to-order, please allow 8-10 weeks. The price is for local pick up only. I can help you arrange shipping, I offer standard crating, FED EX services, and white glove delivery (pricing will vary).